How to Use Risk Management in Binary Options Trading? Binary options, just like any other form of financial trading, has an element of risk involved. You could lose all or most of your money in an instant if you are careless or greedy. As such, the concept of risk management is one that every binary options trader should take very seriously. Calculating your risk in binary options is actually very easy. For every $1000 in your account, you can only afford to expose $50 at any single time. So your first step is to identify and sign up with a broker that will allow you to place trades within the confines of your acceptable risk appetite. This is a typical trade for a $5,000 account. The expected payout for the Rise/Fall trade is $500. 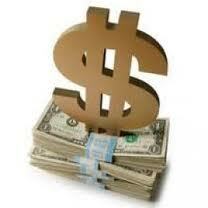 In binary options, payouts are made up of your invested capital and your profit. So for a payout of $500, this trade will cost the trader either $267.67 or $268.70, which is approximately 5% of the account size. However, this is for a single trade. If you want to take 2 trades, then you need to split your payout into two, and then select a trade that will reflect a 50% investment of the expected payouts from both trades. The essence of all this is to protect your account from the devastating effects of losses in a single trade where too much capital was invested. Imagine a situation where a trader with a $5,000 account tries to hit a $2,000 payout and invests $1000 into a trade. If that trade is out of the money, then he has lost 20% of his account in just ONE trade! You may think this is over the top but you will be surprised at how often many retail traders succumb to the destructive emotion of greed and try to dare the market in this manner. Do not fall prey to this. We all hope to win but the truth is that there will be times when we make bad trade calls. It has happened to everyone; even the great Warren Buffett lost millions in October 2008. But what separates those who re-emerge as successful traders from the rest is the ability to control their risk. Control yours too.